The full trip cost has yet to be confirmed. The cost includes your course, all accommodation, food and drink, a mid week excursion as well as taxi pick up form the airport. Further itinerary information to follow. Art in the Algarve is a beautiful art school set in the heart of Olhão’s protected historic area. With vaulted ceilings, Roman brick work, three courtyards and an olive tree (believed to be over 150 years old), the school has been restored offering an exceptional space for artistic creativity. There is something very romantic about the art school, it is exceptionally charming, and it has an abundance of old features and is very tranquil. A fantastic place to gather inspiration. I’ll be painting there mid June 2017 for a weeks. So I’ll have lots more detail to post when I return. 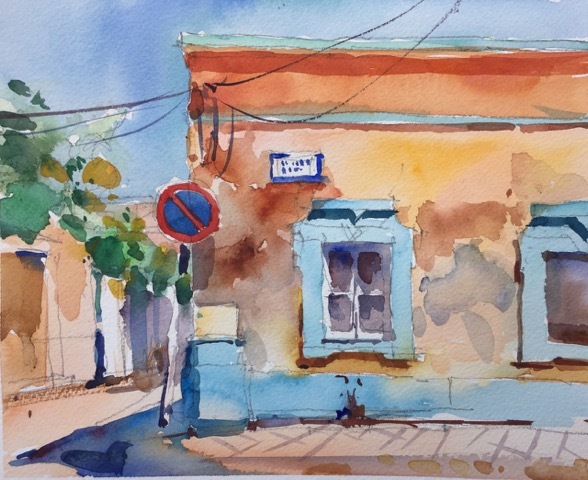 Hosted by Art In The Algarve, Rua Carlos da Maia, 8700-379 Olhão Municipality, Portugal. This holiday is open to painters in any medium. I use primarily oils and watercolours. But I am also comfortable with acrylics or gouache. This is really helpful! Hard to find this type of data lately. Not sure why. I do have several questions but want to re-read first before asking something really dumb. Appreciate it.